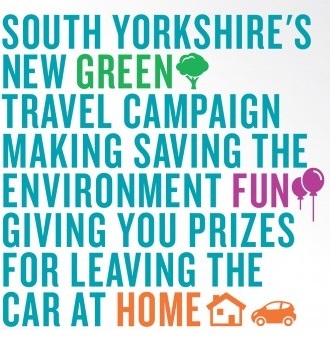 There is a new sustainable travel campaign in Sheffield. #NotDriving. The aim is to raise awareness and encourage wider use of sustainable travel whether that’s public transport, walking, cycling or even smarter driving. In essence, it’s all about inspiring people to travel in Sheffield in a healthier way. work, nights out or anywhere for that matter. Pledge the number of miles you would have driven right here on our site for a chance to be entered into the monthly prize draws. This scheme is running for 3 years and has a budget of £30,000 for it’s lifetime. Would this money be better spent elsewhere? Is this the sort of project envisiged at the inception of the Local Sustainable Transport Fund? The establishment of the LSTF reflects the importance the Government attach to helping build locally a strong economy and addressing at a local level the urgent challenge of climate change and the commitment made in the coalition agreement to promoting sustainable travel initiatives. This entry was posted in council, lstf on May 23, 2013 by Matt.